NIA CHARLESTOWN NEVIS (March 14, 2018) — Nevis will join with other islands in the Caribbean region in Carib Wave 18, an annual Tsunami preparedness exercise, on Thursday, March 15, 2018. 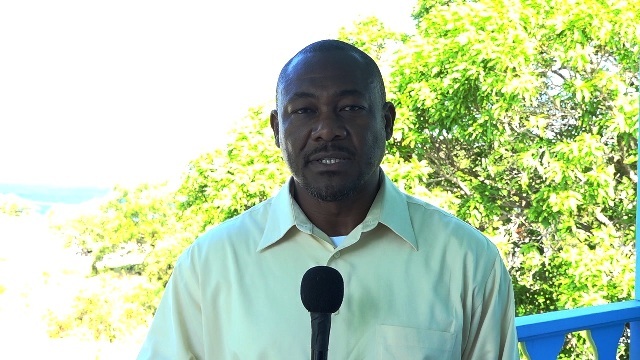 Mr. Brian Dyer, Director of the Nevis Disaster Management Department (NDMD) made an appeal to members of the public to get involved in the exercise which begins at 10a.m. “We invite persons from the general public and business community to take part in the exercise… We have had commitments from several business places especially in the Charlestown area, from the banking institutions, from the Government Departments, private entities, restaurants, hotels, and all the schools located in the Tsunami hazard zone,” he said. Persons are expected to head to the designated safe sites throughout the island once the warning is given of a tsunami. A dummy signal will be relayed from the Pacific Tsunami Warning Centre to Barbados and transmitted to the tsunami warning focal point at the Basseterre Police Station. Participants in the exercise would be notified to begin evacuating to any of the six designated safe zones on Nevis. The safe zones in Charlestown are the Charlestown Primary School Play Field, Bucko Park at the intersection of Stuart Williams Drive and Carl Tuckett Boulevard. Another designated safe zone, based on a recommendation from the last exercise is the clearing at the intersection of Pump Road and Government Road. Persons south of Charlestown in Stoney Grove and surrounding areas, will go to the hill behind ValuMart. Continuing north, the Jessups play field. Further north, the Violet O.J Nicholls Primary School play field and the Whitehall play field in Butlers Village. In the case of Gingerland, the village is located on high ground above the sea level, it is a safe zone of itself. However, farm lands located at Hanley’s Road are in the Tsunami hazard zone. Mr. Dyer also appealed to motorist to be vigilant and ensure that persons are protected during the evacuation process of the simulation exercise. The NDMD Director said 1300 residents and visitors participated on Nevis in a tsunami evacuation exercise last year, held across North America, Central America and Caribbean in which more than 670,000 persons participated. Mr. Dyer has expressed his hope that more persons would take part in the exercise this year. “We anticipate about 1800 persons participating from the eight schools that are located in the Tsunami Hazard zones, hotels, business places, private entities, and a few volunteers who indicated that they would take part,” he said. On arrival at the tsunami safe zones, a registration process would be carried out to determine the actual number of participants. A report would then be sent the Pacific Tsunami Warning Centre of the tsunami simulation evacuation exercise on Nevis.